"Great design translates to a house that functions better, costs less to build, is more efficient to maintain and gets you more for less." 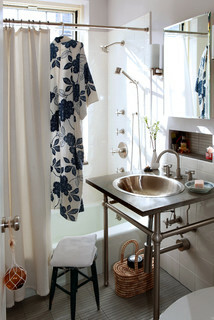 Look at these tile ideas for your kitchen and bath! that didn't exist even a few years ago. The artistic expression we are seeing out there is incredible. Here are a few pictures we've curated from Pinterest. And since you may have been thinking it…the answer is YES.